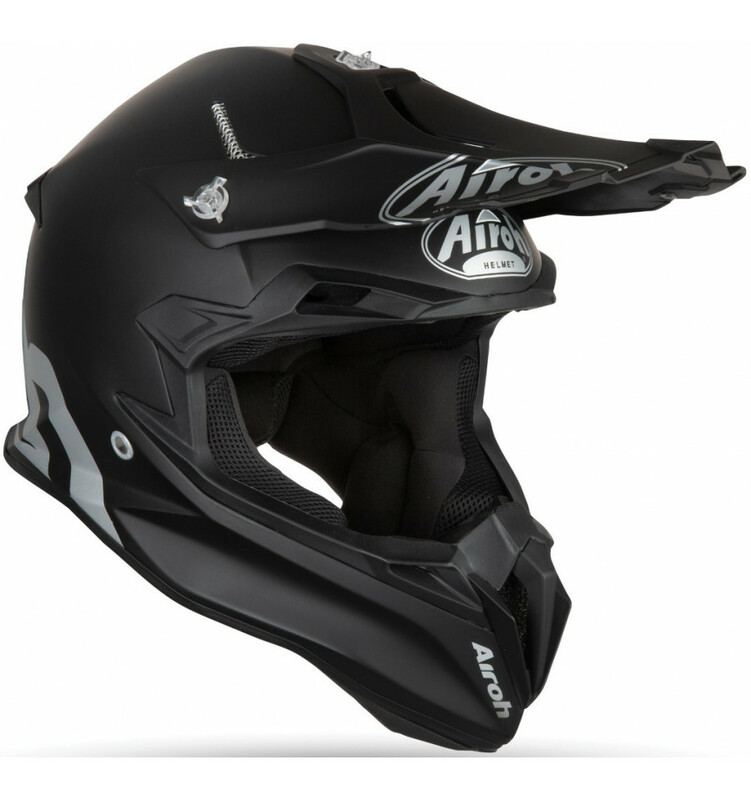 Crosshjälm av glasfiber/Kevlar med stor öppning för brillor, lätt och A.E.F.R. (Airoh Emergency Fast Remove). 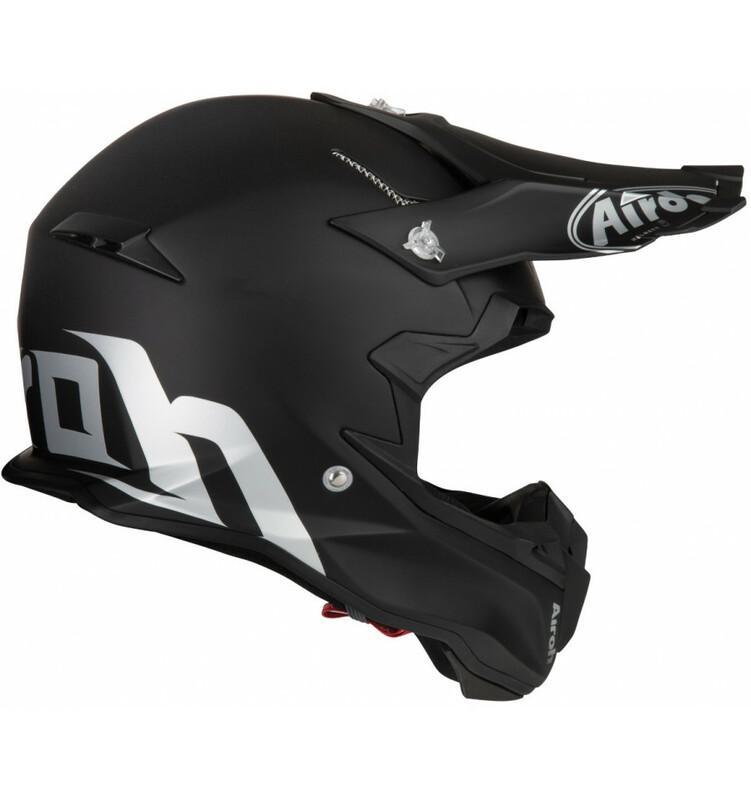 Airoh Terminator Open Vision, öppningen för goggles är förstorad jämfört med tidigare modell. Skärmen gjord i det nyare mer flexibla materialet, bättre ventilation samt en bekvämare stoppning inuti hjälmen. A.E.F.R. (Airoh Emergency Fast Remove): I nödsituationer är kindkuddarna lätt löstagbara, vilket gör att hjälmen lättare kan tas av huvudet. Terminator Open Vision väger endast 1070 gram. 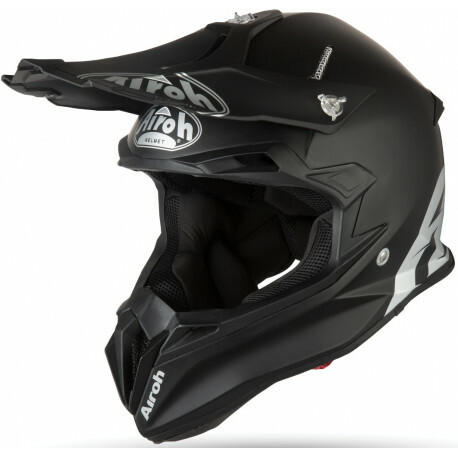 The Terminator Open Vision helmet is the new off-road helmet made entirely of composite fibers in two shell sizes for motorcyclists who do not want to go unnoticed. 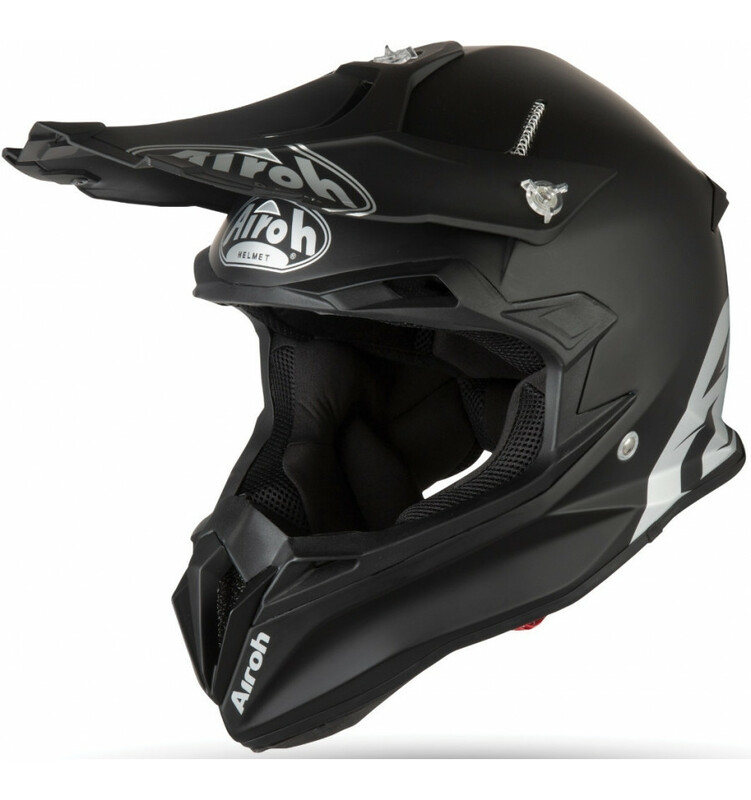 Appealing design, lightness and ventilation are among the strengths of this unique helmet, which guarantees performance and comfort at the same time. Great attention has been paid to the interior upholstery, which uses comfortable and breathable state-of-the-art materials for comfort and breathability. An advantage of the Terminator Open Vision is the dust filter during intensive off-road use. 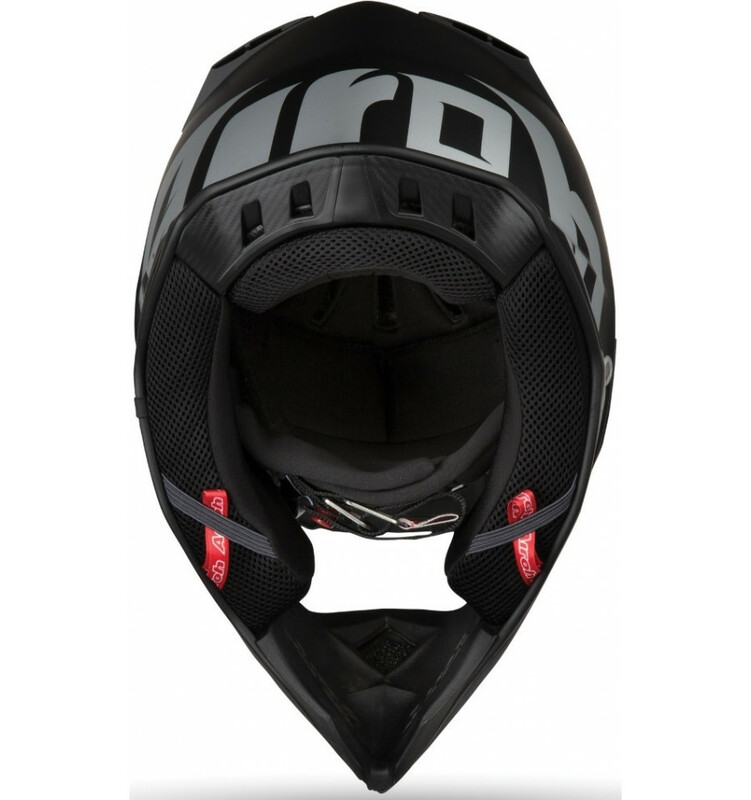 The whole thing is rounded off by the double-D-ring restraint system, which provides maximum safety, and the emergency system for removing the cheek pads (A.E.F.R.) as well as the extension of the glider and the top ventilation. Lining: The soft inner pads are highly breathable, removable and washable and ensure a unique wearing comfort. A.E.F.R. 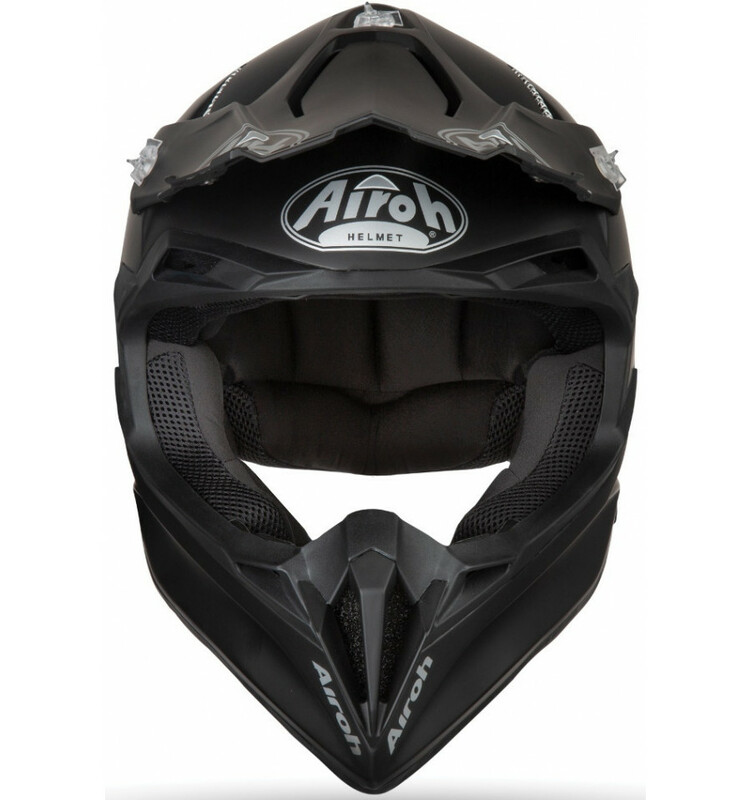 (Airoh Emergency Fast Remove): Airoh system for quick removal of the cheek pads in an emergency. 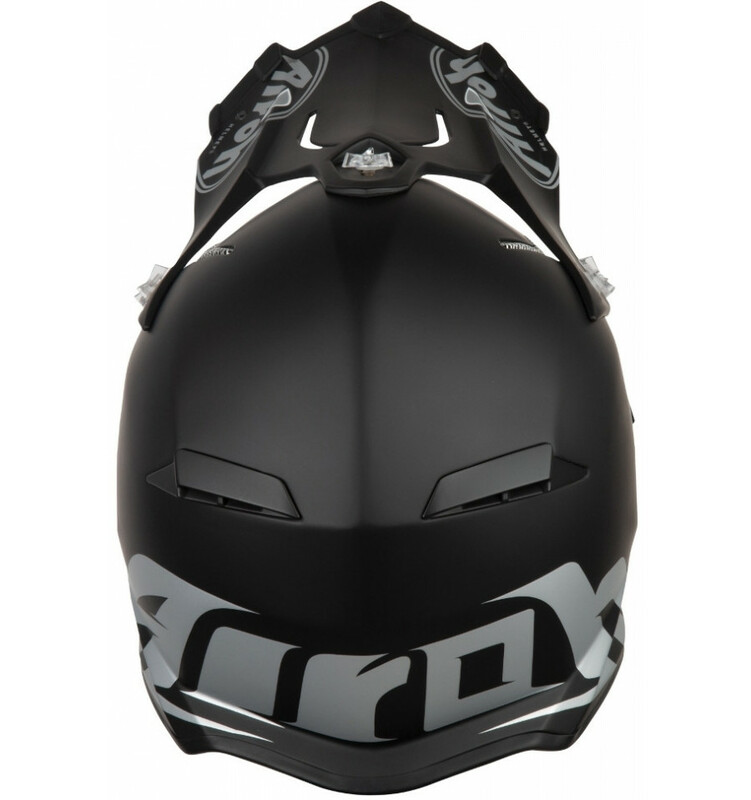 Ventilation: The numerous ventilation slots channel the airflow. They let the fresh air in and the warm air escape.